Models : all. 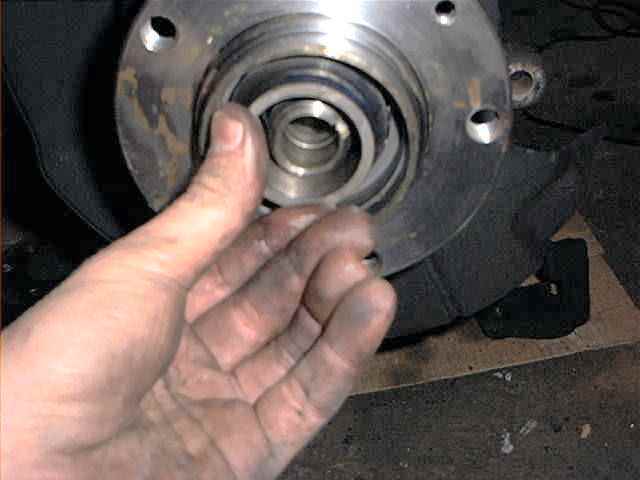 Even the 5 series E34, which have identical bearings (same partnr). 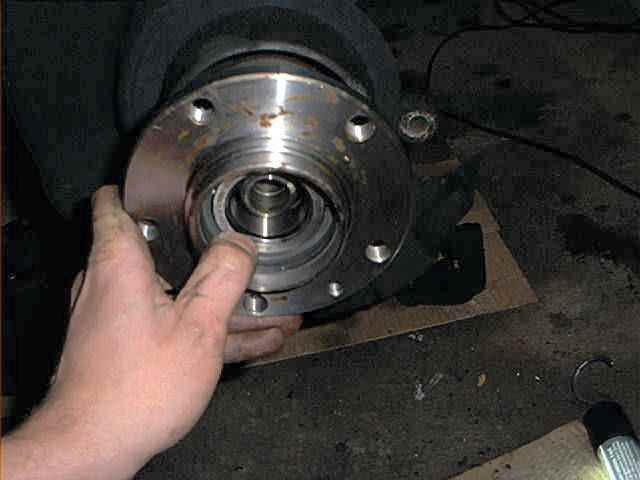 I was cheap and bought the cheapest bearing I could get, from a local parts seller. 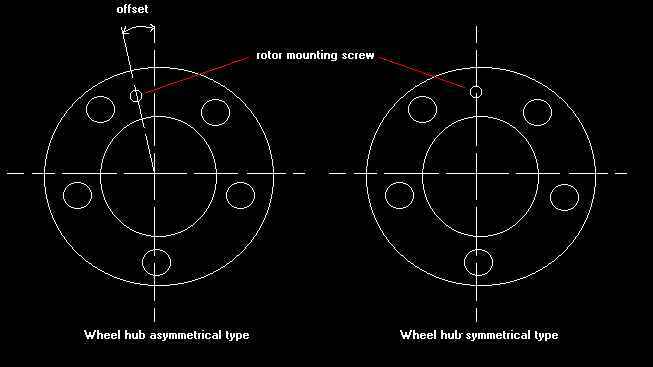 The brand of the bearing stated 'SKF', which is fortunately a very good brand. 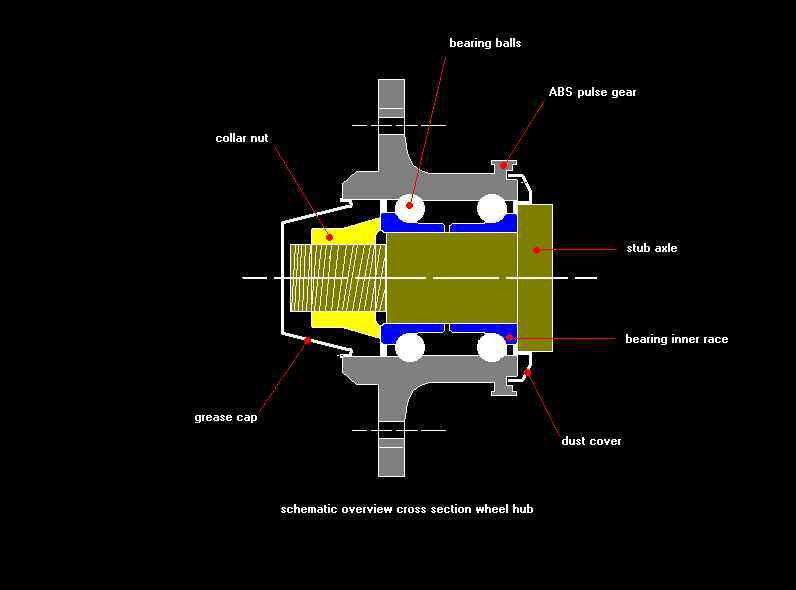 SKF is the world largest supplier of bearings, and my experiences are very good with them. 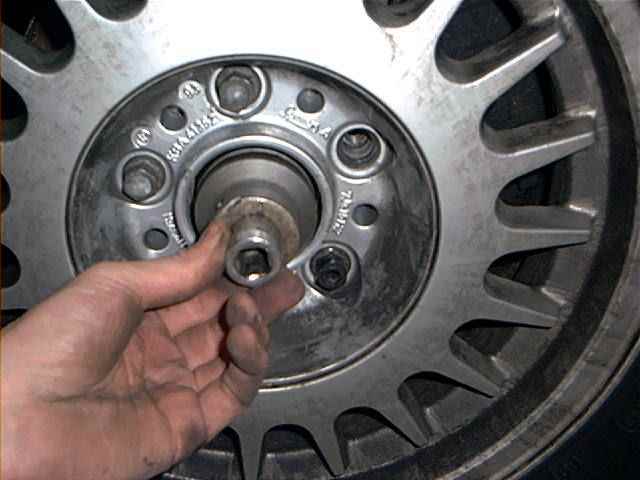 So you must first remove your wheel and check the current wheel hub for the position of the rotor mounting screw. 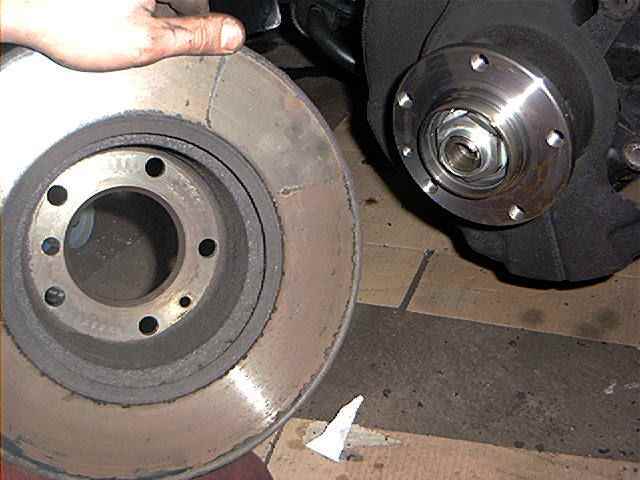 The other type will fit, but there is a chance that your brake rotor won't fit anymore (not every rotor has 2 holes for both types of mounting screws). In that case you won't be a happy person. 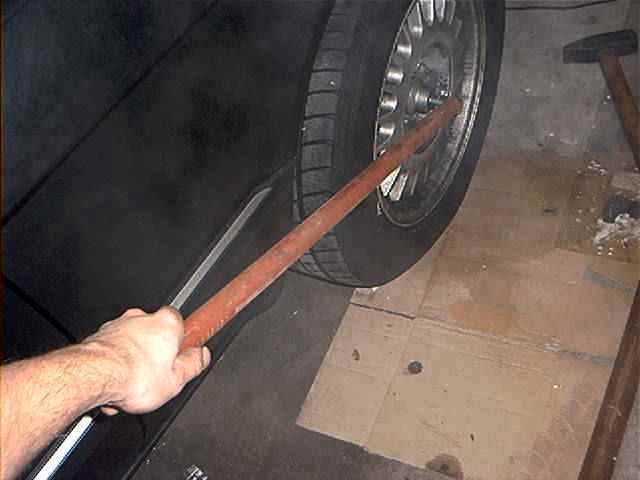 Now use a long handled socket wrench. I used a socket with a 1/2 connection because I didn't have any other. It's better to use 3/4 or 1". After some pulling I realized the used pipe was to short. So I used a 1.5 meter long steel pipe for extra leverage. That did the job! 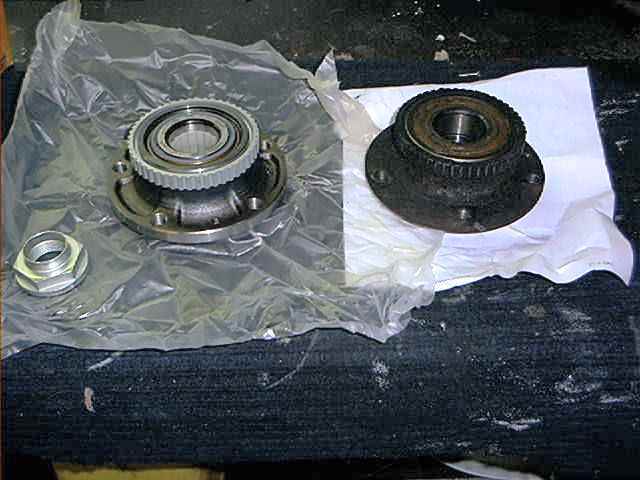 Just loosen the nut a couple of turns (about 2), do not remove the entire nut yet! 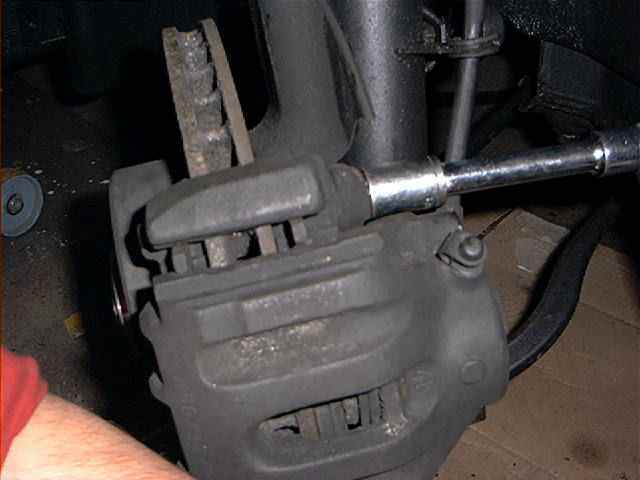 Remove brake caliper & carrier (don't let it hang loose). 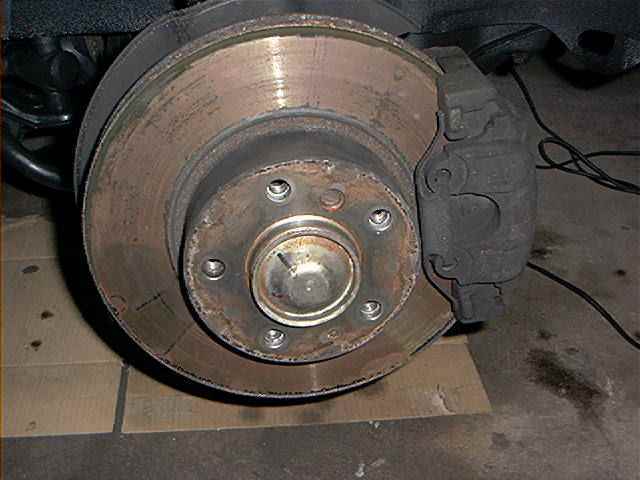 Maybe it's a good time to check the condition of the brake pads and dust seal while your at it. 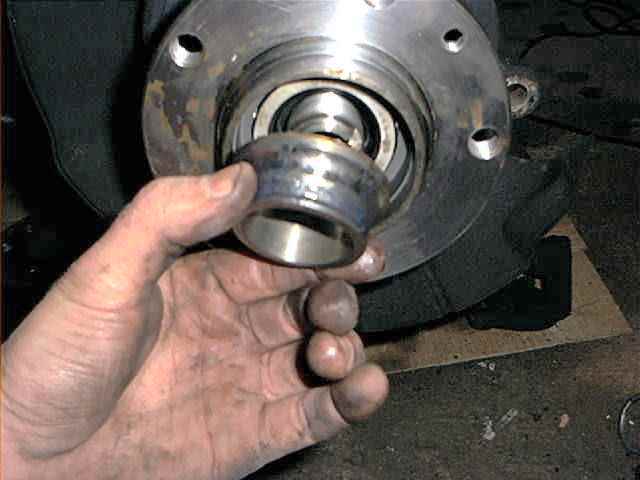 If the dust seal is cracked or teared, replace it otherwise your caliper piston will corrode badly. 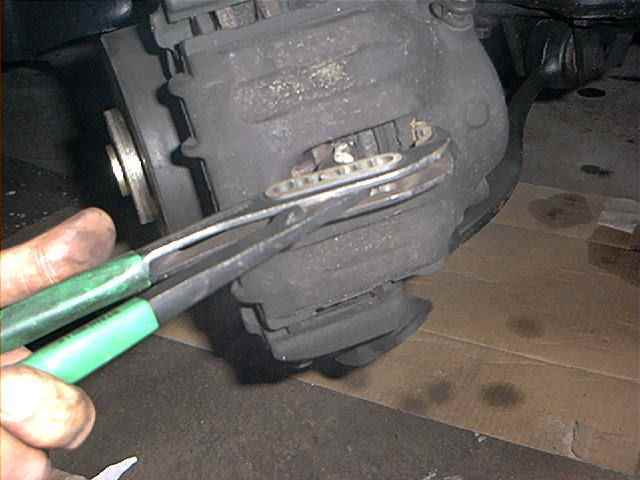 Remember, don't let the caliper hang loose. 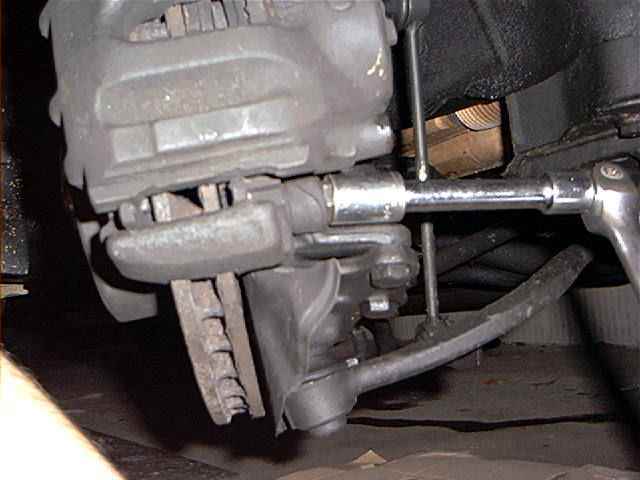 Put it somewhere between the suspension or hook it up to a strong wire. 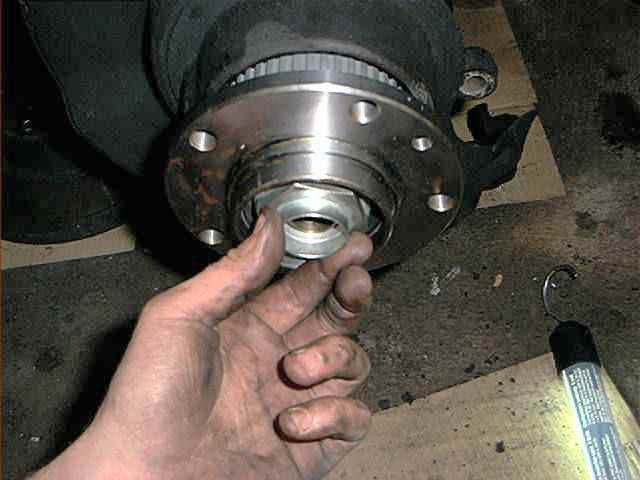 Don't be afraid to damage something, the entire wheel hub will be replaced. 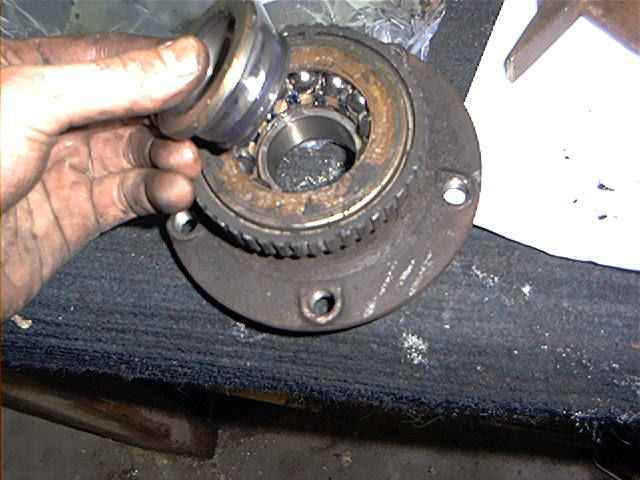 In my case, I succeeded removing the bearing. 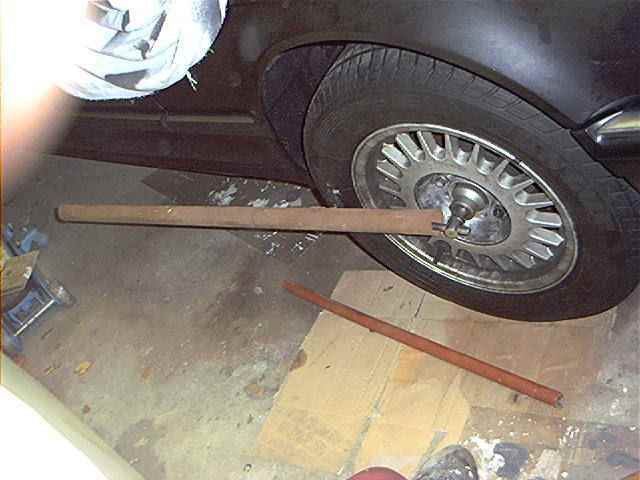 If the hammering doesn't work, you'll need a puller. 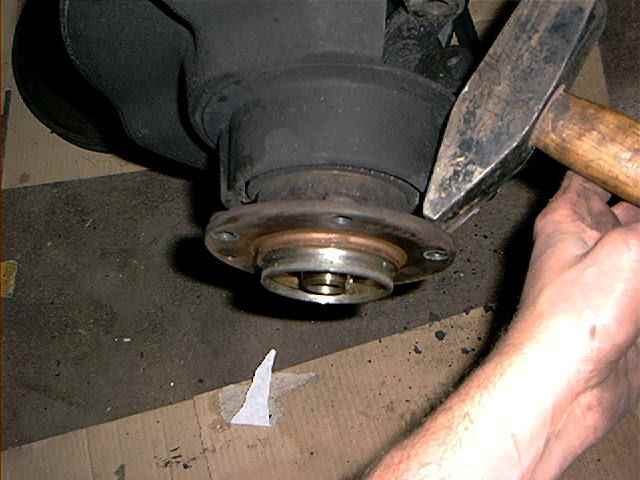 Sometimes a part of the bearing (rear inner race or collar) remains on the stub axle. 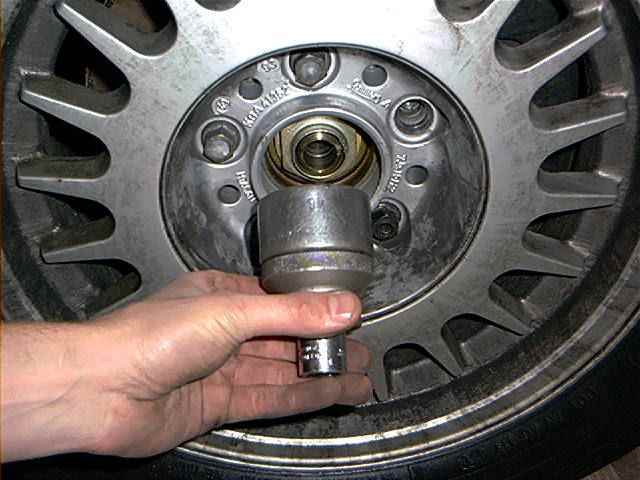 Tap, hammer or pull to remove it, but be very careful that you don't damage the stub axle. 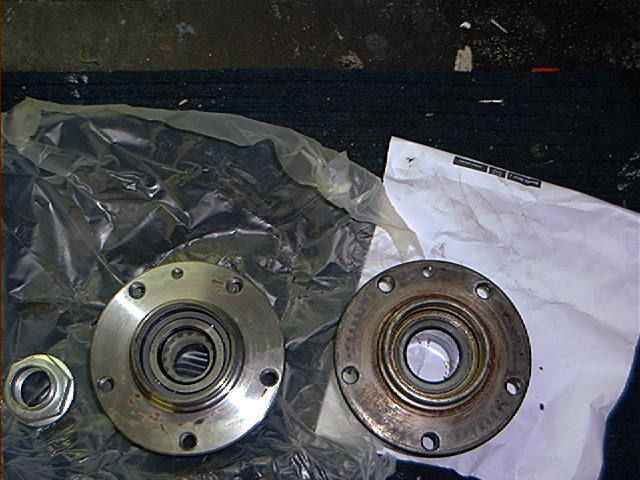 Ok. Now about the new bearing, new versus old (a new locking nut is included with the new bearing). 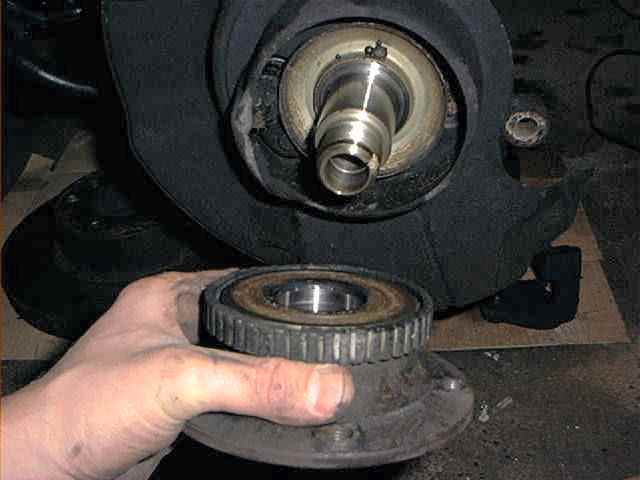 The new bearing doesn't have to be greased up by you. Its already greased up for life. 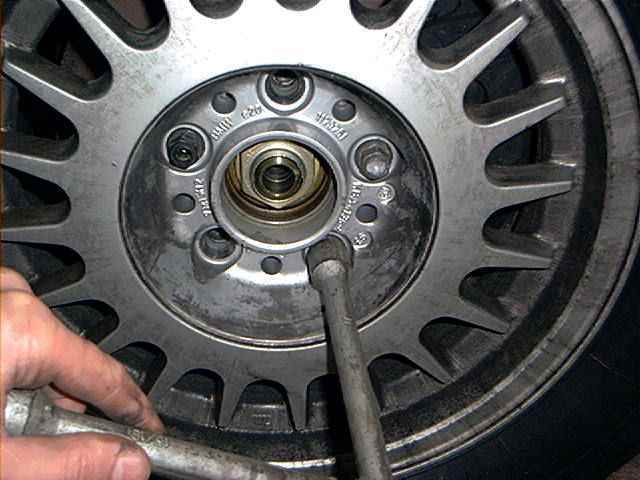 After this, tighten the nut firmly but without the extra leverage. 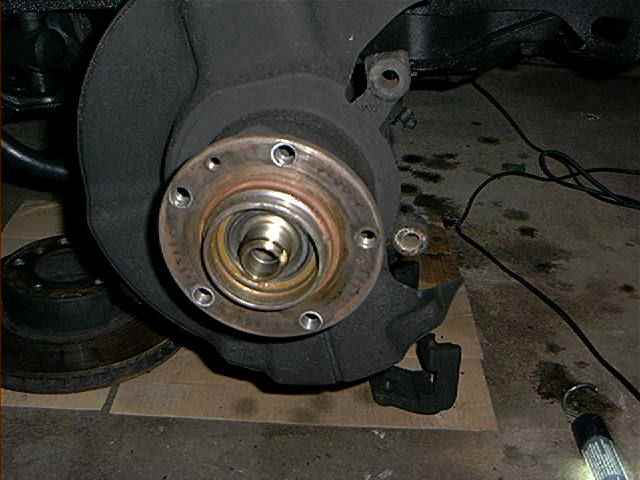 Mount the brake caliper and rim. 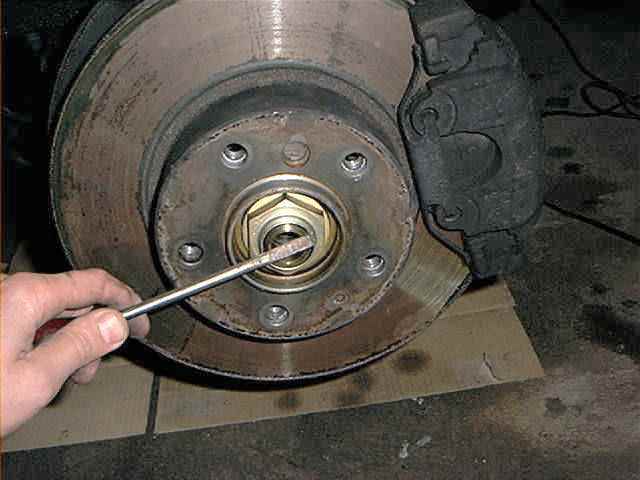 Lower the car, and tighten the nut to 290 Nm (214ft-lb). 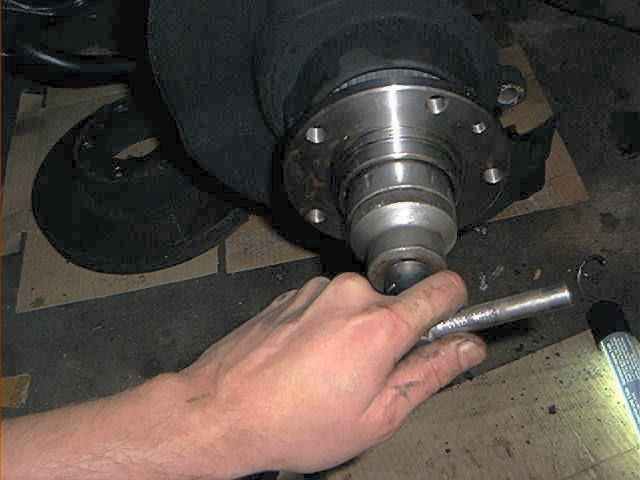 The problem is that most torque-wrenches won't go any further than 150 nm. 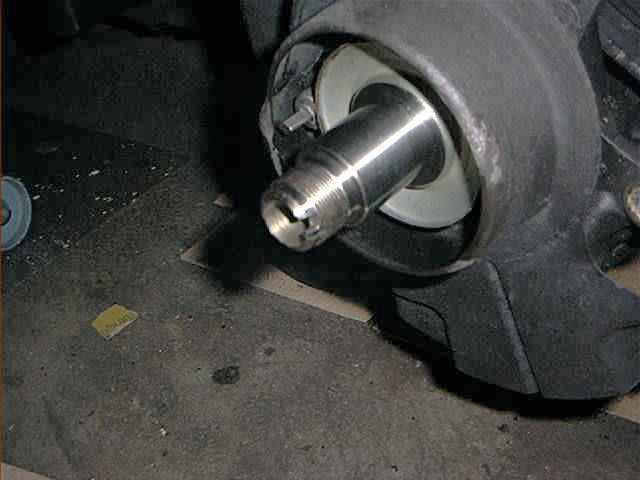 Perhaps you can borrow a larger torque wrench from your local garage, or use the 1.5 meter pipe again and tighten it a few grunts .....at your own risk. 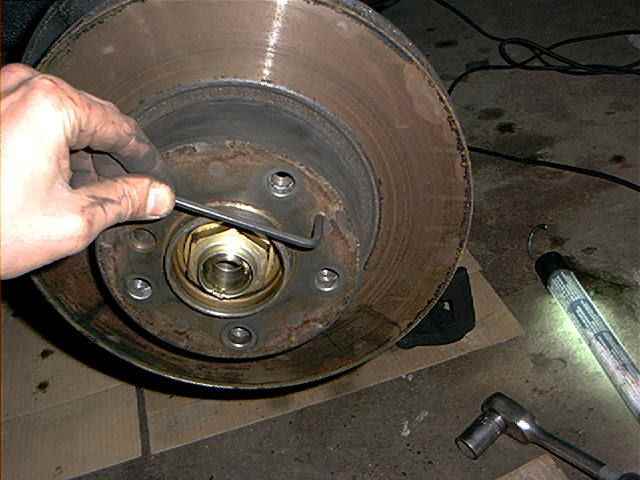 Jack up the car, remove the wheel (no not again....) and install the grease cap. Now that wasn't too bad.....was it? Remark: this is Europe. Some prices or partnrs may differ depending on country, model or production year. 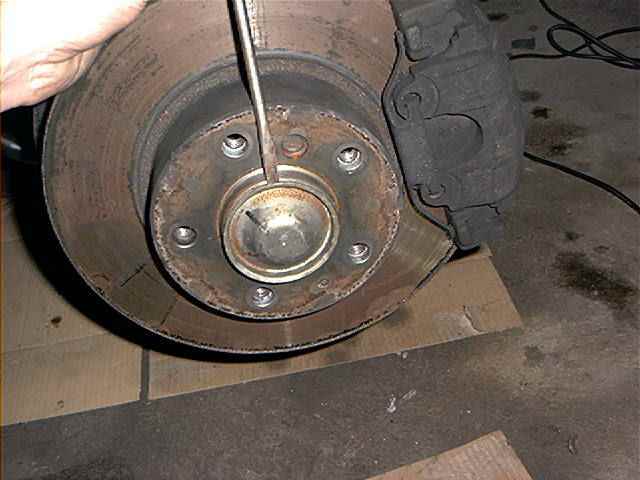 Check out your dealer for the right partnrs for your car. Skills needed/difficulty level : some skills are necessary. 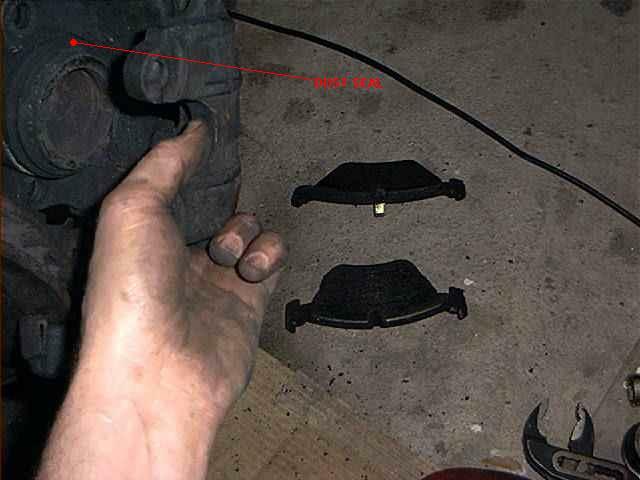 This ain't an oil change. Satisfactory level after the job done : its pretty cold here, so I was very glad the job was done. My garage isn't heated.